Which Resume Format Is Right for You? Knowing when the chronological versus the functional resume format works best is crucial to creating a powerful resume. Functional, also known as a "skills resume"
And then, if you're applying for certain academic or teaching positions or trying to get a job outside the US, you may be asked to prepare a curriculum vitae, or CV for short, rather than a resume. This is a much more detailed document, although it may roughly follow one of the formats discussed above. Of course, there are many other variations of those named above as well. You're really free to use whichever format you prefer, but there are certain situations where one works better than another in selling you and your abilities. 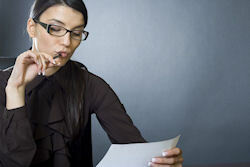 Keep reading to learn more about choosing a resume format. Employer preference. In some instances, an employer may specify a particular format. For instance, universities often ask for a curriculum vitae, which will detail experience and publications more thoroughly than a traditional resume. Your work background. If you lack experience or have had lengthy gaps in employment, a traditional chronological resume might not be the best way to present the transferable skills and education that you do have. So you might decide to go with either a skills resume or a combination type resume. Personal preference. This is not the most important factor, but it may have some bearing on your final decision. After all, you DO need to be comfortable with how you're going to present your information. If a resume type doesn't feel "comfortable," then you may not do your best job. 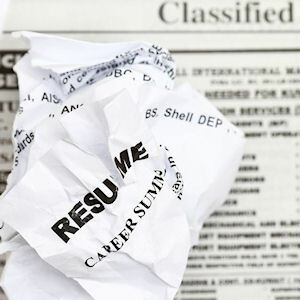 In the end, the decision on resume format should rest on what is the best way to showcase you and your skills. Because if you don't show yourself off to greatest advantage, then you're not going to get the job interview... or the job! Recommended: If you want some help putting your resume together, I highly recommend you check out this online resume builder website, where you'll not only find resume templates in various resume formats, but also an easy-to-use interface that enables you to create and submit your resume and a cover letter. There's a super cool free trial too.